The vacuum loading capability of our specialist Vacuum Excavation Units, when used in conjunction with compressed air or pressurised water to loosen the ground, enables us to “dig“ for buried utility cables, without the risk of striking same with conventional excavators. 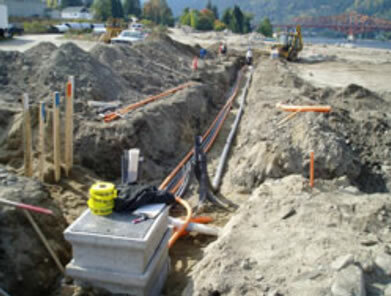 Lehane Environmental’s specialist equipment can assist in the location of buried underground utilities. This system of excavation is frequently being employed by utility companies who are trying to locate buried cables or excavate bore holes or trial pits in contaminated sites, in the absence of utility maps. It is an extremely safe system of excavation as cables are not torn or broken by the conventional hydraulic excavation processes. 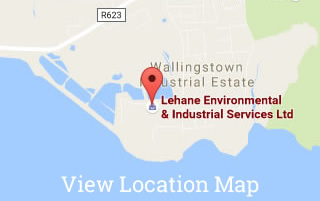 Contact Lehane Environmental today to discuss Vacuum Excavation to locate Underground Utilities – 021 4351020.